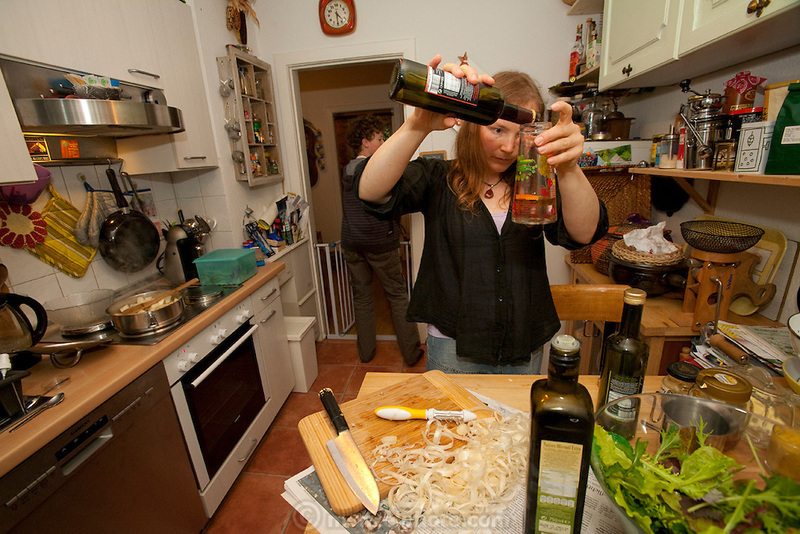 Astrid Holmann of the Hollmann Sturm family in Hamburg, Germany preparing salad dressing for supper in her kitchen. They were photographed for the Hungry Planet: What I Eat project with a week's worth of food in June. Model Released.